Chanteur Country US né Roy Frank Drusky, Jr., le 22 Juin 1930 à Atlanta (Georgie). 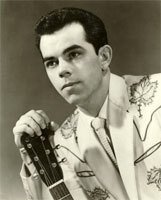 Roy Drusky forme son premier groupe Country en 1951, à Atlanta (Georgie): les "Southern Ranch Boys" et travaille ensuite dans une station de radio. 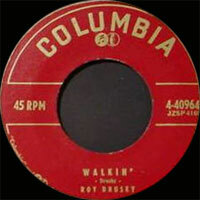 Roy obtient son premier succès en 1958, quand Faron Young enregistre une des ses compositions. Il est décédé le 23 Septembre 2004 à Portland (Tennessee). 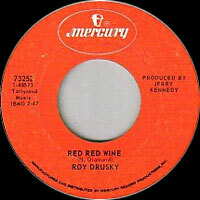 A singer/songwriter often called "the Perry Como of country music," Roy Drusky enjoyed success throughout the 1960s as a performer in the Nashville sound vein. Born June 22, 1930, in Atlanta, GA, Drusky's mother, a church organist, tried for years to interest her son in music, but throughout his childhood he focused the majority of his energies on sports. It was not until during a two-year stint in the U.S. Navy that he bought his first guitar, and soon after began performing for his fellow crew members. After leaving the Navy, Drusky returned to college, and unsuccessfully tried out for baseball's Cleveland Indians. In 1951, he started his first band, the Southern Ranch Boys; the group's success on a Decatur, GA-radio talent show landed Drusky work as a DJ, where he attracted a substantial following among listeners. He also continued to perform in local clubs after the Southern Ranch Boys called it quits, and on the strength of a 1953 single, "Such a Fool," he was signed to Columbia Records in 1955. After moving to Minneapolis to continue his work in radio, Drusky began headlining at the Twin Cities' prestigious Flame Club, where word of his talents began spreading to Nashville. As a result, Faron Young recorded Drusky's "Alone With You" in 1958; the single was the biggest of Young's career, topping the charts for 13 weeks. 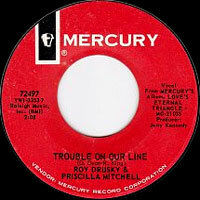 Soon after, Drusky moved to Nashville, and in 1960 released back-to-back Top Five hits, the honky tonk ballads "Another" and "Anymore," which led to an invitation to join the Grand Ole Opry. 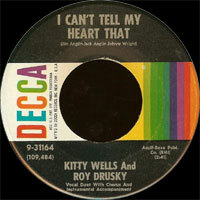 In the same year, he also released a hit duet with Kitty Wells, "I Can't Tell My Heart That." 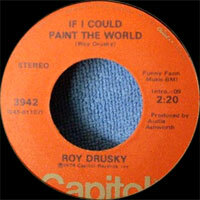 In 1961, Drusky released the double-sided hit "I'd Rather Loan You Out"/"Three Hearts in a Tangle," and also issued his first LP, Anymore With Roy Drusky. 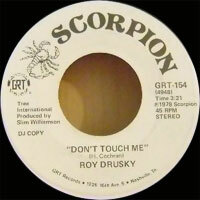 The next year, he reached the Top Ten again with "Second Hand Rose," from the album It's My Way. Throughout the first half of the decade, he continued to release chart hits, peaking in 1965 with his lone number one, "Yes, Mr. Peters." He also issued two separate albums in 1964, Songs of the Cities and Yesterday's Gone. 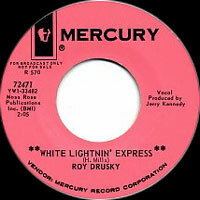 In 1965, Drusky appeared in his first film, White Lightnin' Express, and also sang the feature's title song; he later appeared in two other films, The Golden Guitar and Forty Acre Feud. In the middle of the decade, he also began recording with singer Priscilla Mitchell, and with her released two albums of duets, 1965's Love's Eternal Triangle and Together Again in 1966. 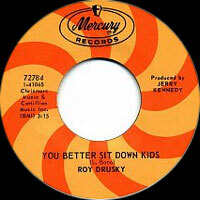 In addition, Drusky began a career as a producer for acts like Pete Sayers and Brenda Byers. 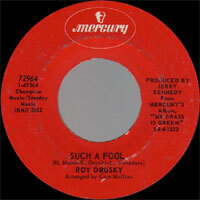 As a recording artist, Drusky's success tapered off after 1965; although he released 11 chart hits between 1966 and 1969, only two, "Where the Blue and Lonely Go" and "Such a Fool," reached the Top Ten. However, in the early years of the next decade he made a comeback: 1970's "Long Long Texas Road," from the album All My Hard Times, was his first Top Five hit in six years. It was also his last, however, and as Drusky's brand of country fell victim to changing tastes, his singles and albums were less and less successful; after releasing two LPs in 1976, This Life of Mine and Night Flying, he returned to writing and producing. After remaining silent throughout the 1980s, he began a new sideline as a country-influenced gospel balladeer in the early 1990s. 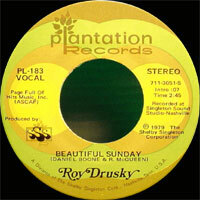 Roy Drusky passed away September 23, 2004. 07/1962 SP DECCA 31411 (US) . You Turn Out The Light / ? 04/1965 SP MERCURY 72416 (US) . 10/1968 SP MERCURY 72865 (US) . Memphis Morning / ?